South Korea is a country that is rich in tourism and steeped in traditional culture. 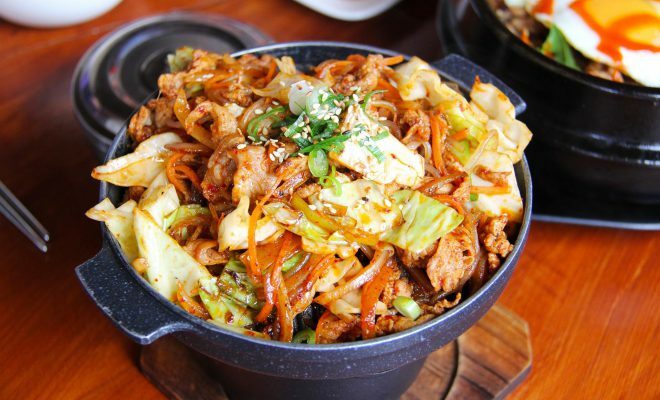 Korean food, a part of Korean culture has evolved through a complex interaction of natural environment and different cultural trends and is largely based on rice, noodles, vegetables and meats. You may have heard a lot about Kimchi, a classic Korean food that you can easily find in any Korean store. They serve kimchi with almost anything as a side dish because kimchi goes well with almost everything. 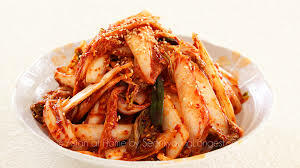 Kimchi is actually fermented food made up of radish, cucumber, scallion, and the most famous one is the fragmented cabbage. Kimchi is known for its nutritional value and antibiotic function and its mixed flavors and tastes sweet, a little sour and spicy at the same time. 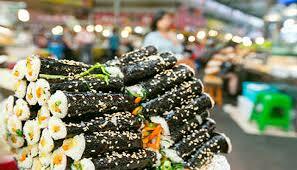 The most famous on-the-go Korean will always have Gimbap. You can find this food in street vendors, but most Koreans love to make it at home and put it in their children’s lunch box or for their snack at work. If you see the picture, it looks like sushi from Japan. The most common filling they put in Gimbap is canned Tuna and Cheese, but they can put anything like marinated beef, carrot or pickled radish. 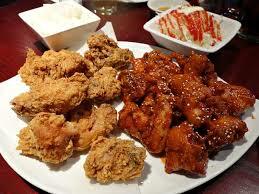 If you watch many Korean drama, you will notice this food a lot. Koreans usually order in the food and once it arrives they will shake it without taking off the plastic cover and when it is mixed well they will tear the plastic cover and the steam will go up and they will slurp it up. 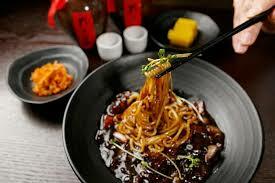 Jajangmyeon is basically a noodle with black soybean sauce, which has a very thick umami flavor. Crispy yet juicy tender chicken like no other! Korean fry their chicken twice in hot oil which makes it less oily and they glaze with amazing sauces, usually, when you visit the Korean fried chicken house you can choose your sauce. The most popular sauce is the sweet and spicy sauce, but they also have the sweet and salty sauce and some restaurants even serve honey glazed chicken which is very addictive! A Korean rice cake which offered by lots of street vendors. 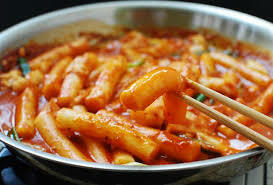 They usually serve it with the popular sweet chili sauce, but some restaurants serve Tteobokki with cheese sauce. 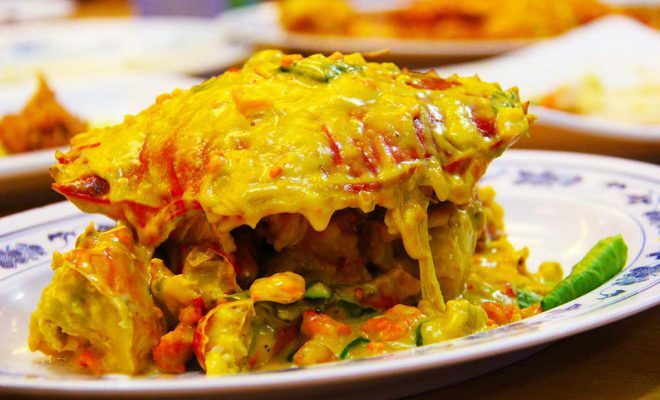 If you cannot handle spicy chilli sauce, you still can try this quintessential Korean dish!